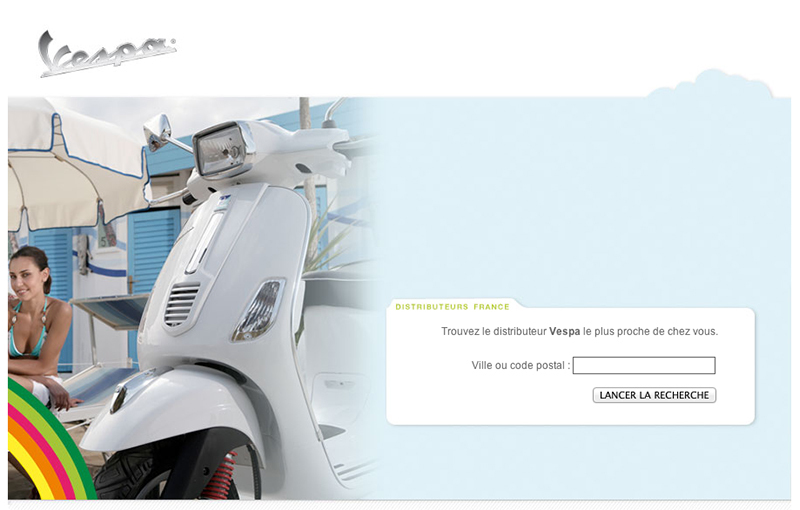 Piaggio France is the retail channel for Aprilia, Gilera, Moto Guzzi, Piaggio, Vespa motorcycles. 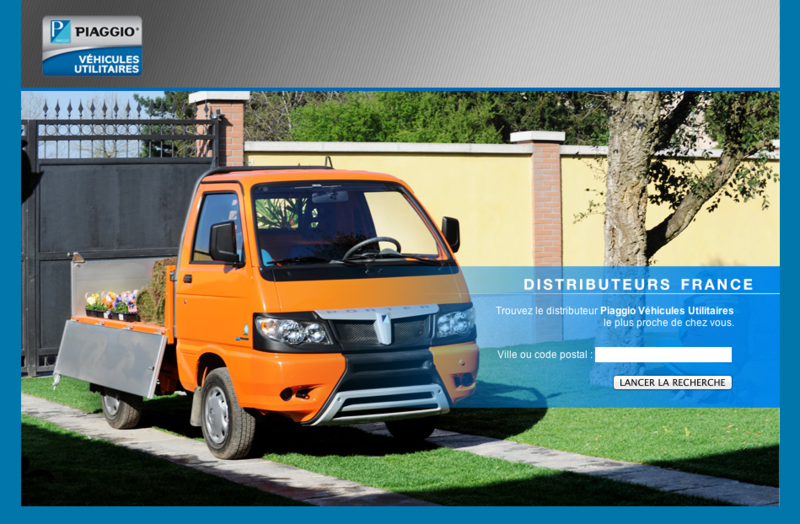 They have many websites and needed a way to connect their SAP dealers database with all the public websites. 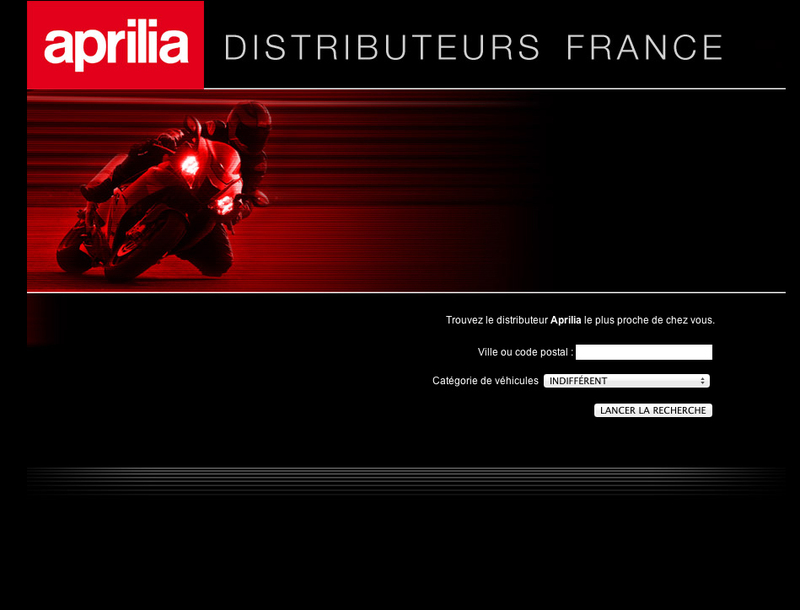 We setup a « CRUD » (Create, Read, Update, Delete) database, plugged in some street address autocorrect, a bit of geolocation, and the very first Dealer Locator of the Group, for the redesign Aprilia.fr website, was born in late 2008. Locators are always embeded inside other websites via iframe. 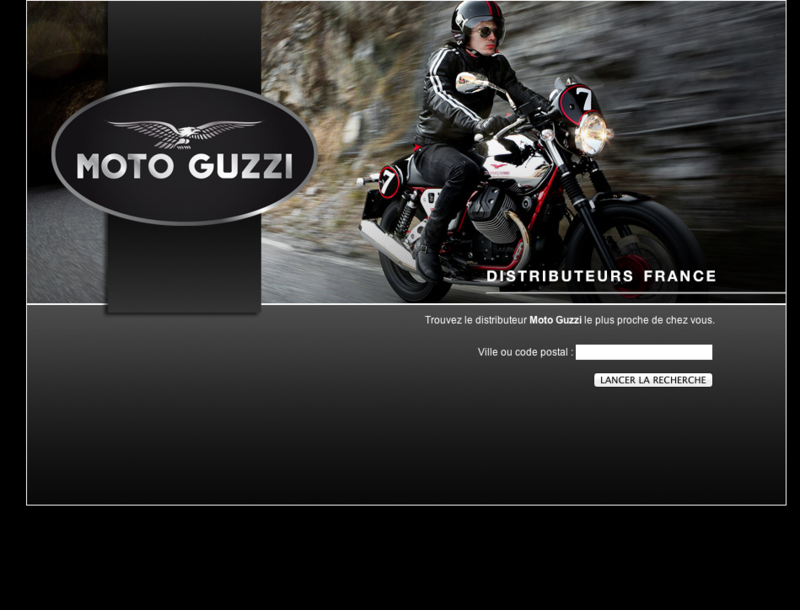 The template system allows for theming, and the back-office is sometimes tweaked for use on promotional microsites. According to Google Analytics, 10,000 potential buyers make their way to the system each month. With nearly 16,000 location searches, the bounce rate is as low as 12,71%. People spend an average 1″39 on the results page, and 19,12% of them are returning visitors. 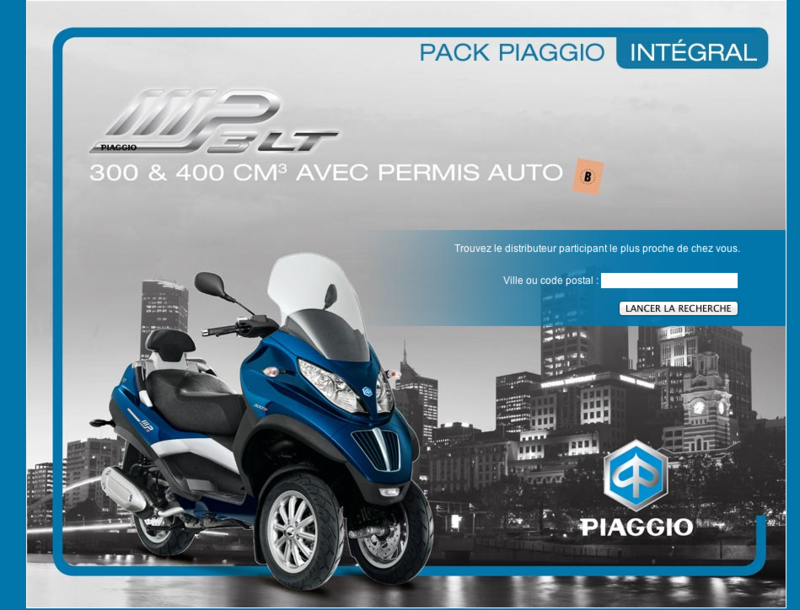 It is safe to say that the Piaggio Group is providing a very useful service to its French customers. 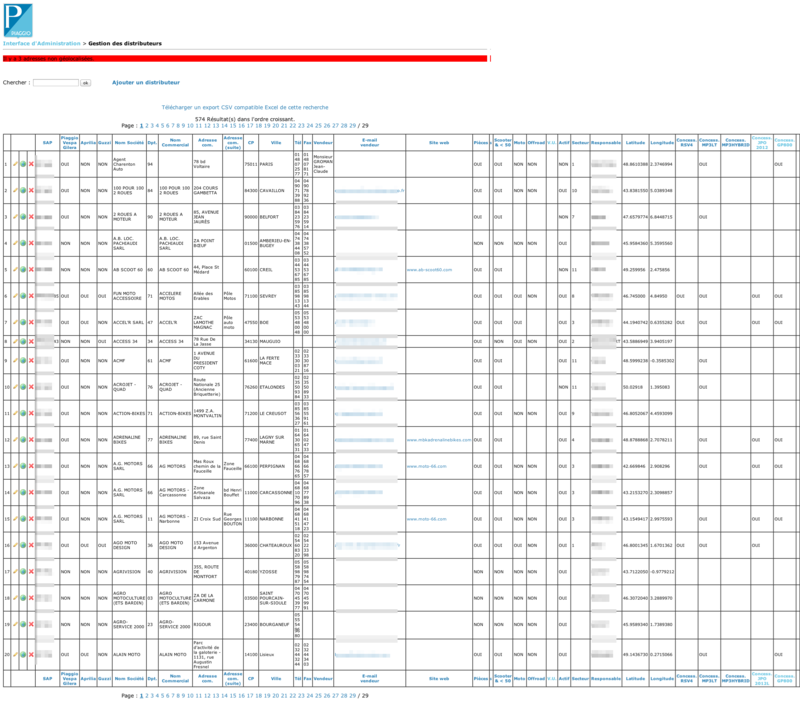 We have been hosting the whole system since the beginning and experienced very few outage. Most downtime were due to planned server maintenance.